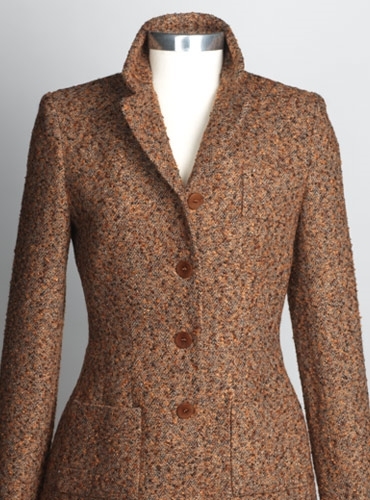 Elegant wool and silk tweed jacket, made for us by Petrovitch and Robinson in France. 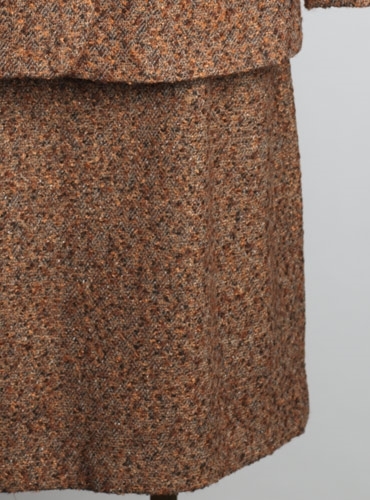 Shown here in a gorgeous orange and spice bouclette. 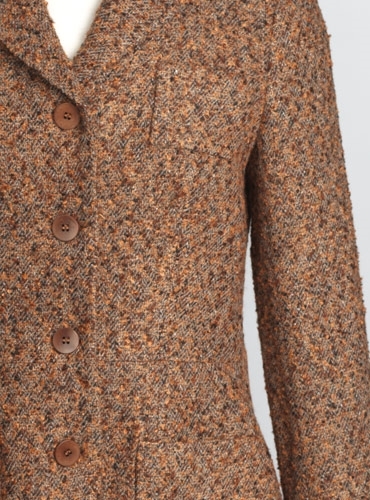 Pair it with the wool and silk tweed skirt for an understated suit set, perfect for the season. 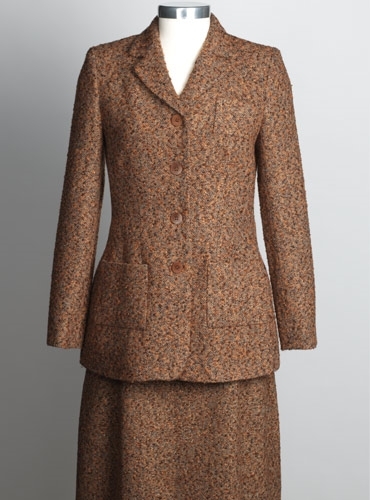 Available in sizes 4, 6, and 8. We may be able to accommodate special orders with sufficient time.